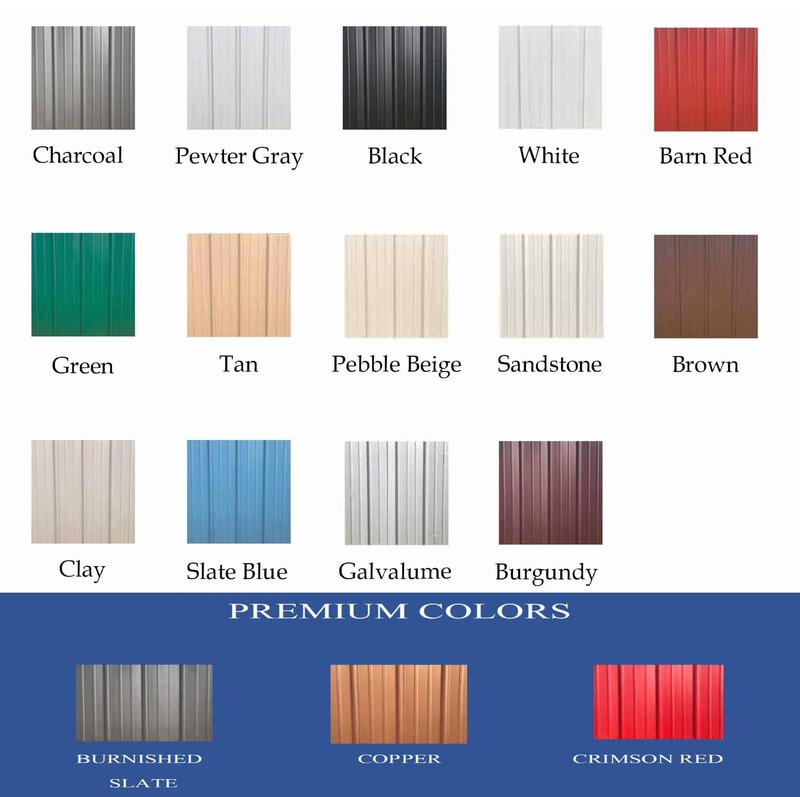 This 24’W x 30’L x 14’H all-vertical metal garage has one 12’W x 30’L x 10’H lean-to, one 10’x10’ garage door, and one 24”x36” window. 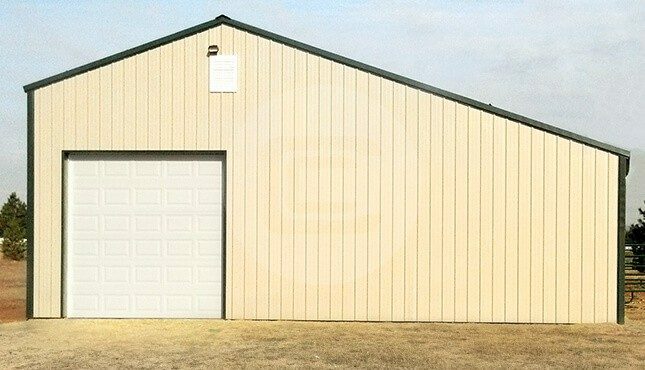 You can use this structure for storing large machinery and agricultural equipment, a workshop or repair shop, and anything in between! With just a small down payment it can be yours today, delivered and installed for FREE! There are also RTO and Financing programs available. For additional information, you can contact one of our friendly building specialists today at (980) 321-9898. No problems at all during any stage of the process…very prompt with the construction process…Jody did a great job of explaining the whole process of how everything was going to happen…I am a very satisfied customer and I am enjoying the building to the fullest! !